We look forward to meeting each of you personally at the National Conference; and hearing about you, your experiences and your ABWA story—it’s our favorite networking opportunity of the year. If you are in business—as an employee, employer, business owner, service provider, consultant, or looking for the next thing—this conference is designed to challenge you! ABWA’s National Women’s Leadership Conferences are renown for delivering empowering workshops that delve into the latest industry trends. Women can engage in networking as well as hone their leadership skills. 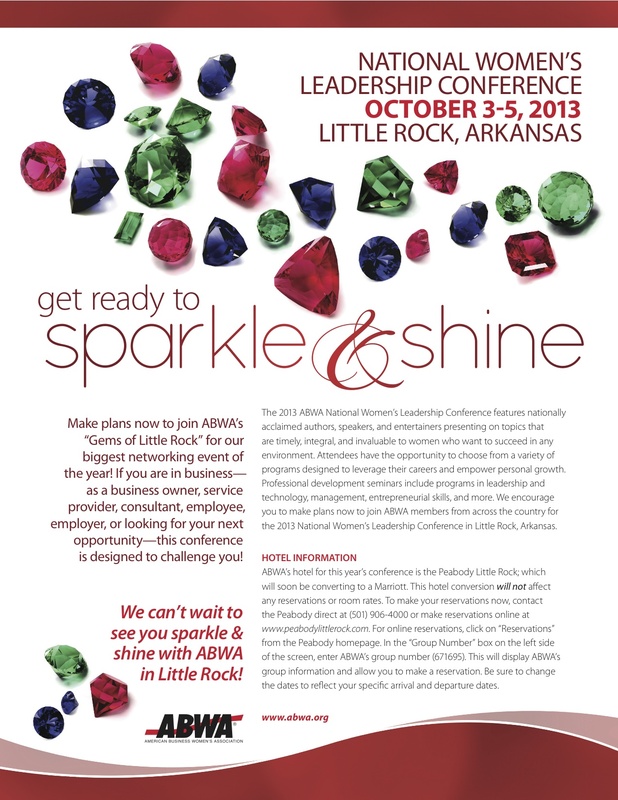 Additional information will be posted as ABWA National Headquarters confirms the speakers and final details. Please visit http://www.abwa.org.